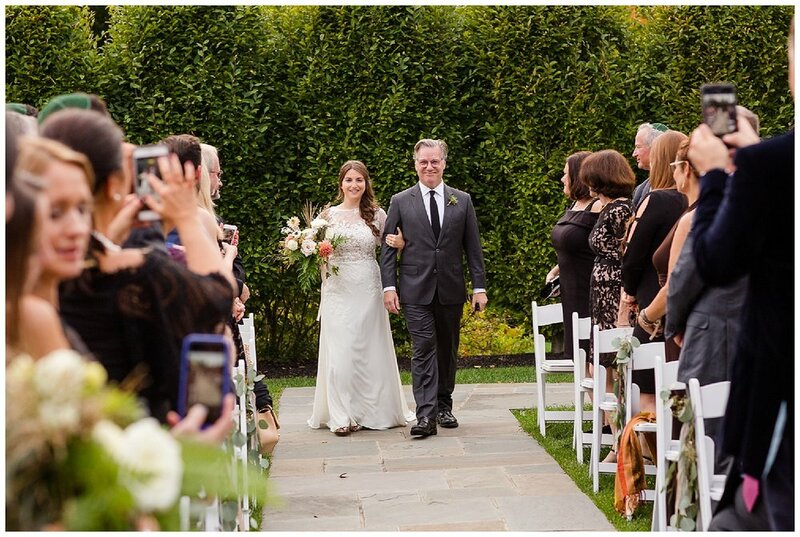 We promise that we're not wishing summer away, but when we see a fall wedding like this one, it's a wonderful reminder that October is still our favorite month! 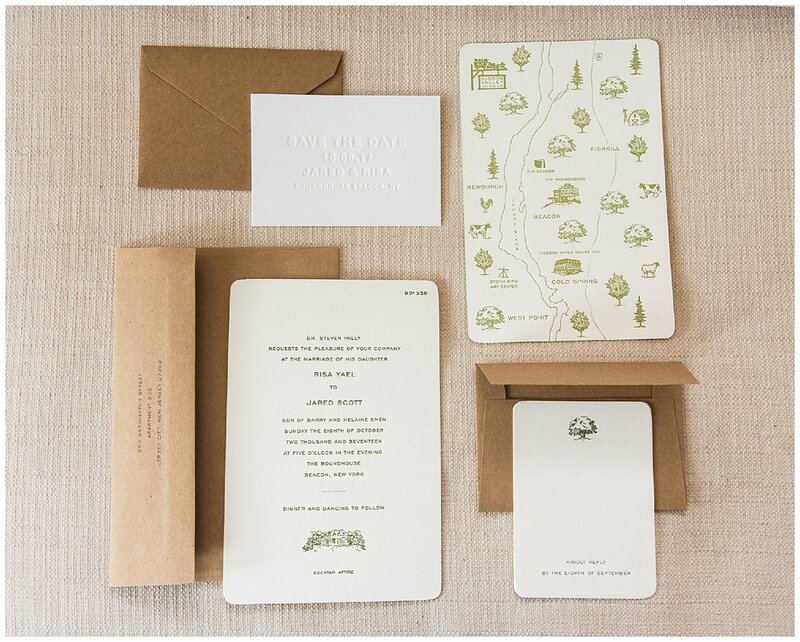 Risa + Jared's wedding at The Roundhouse at Beacon Falls was the perfect spin on rustic modern, with organic, natural elements and a traditional Jewish ceremony. 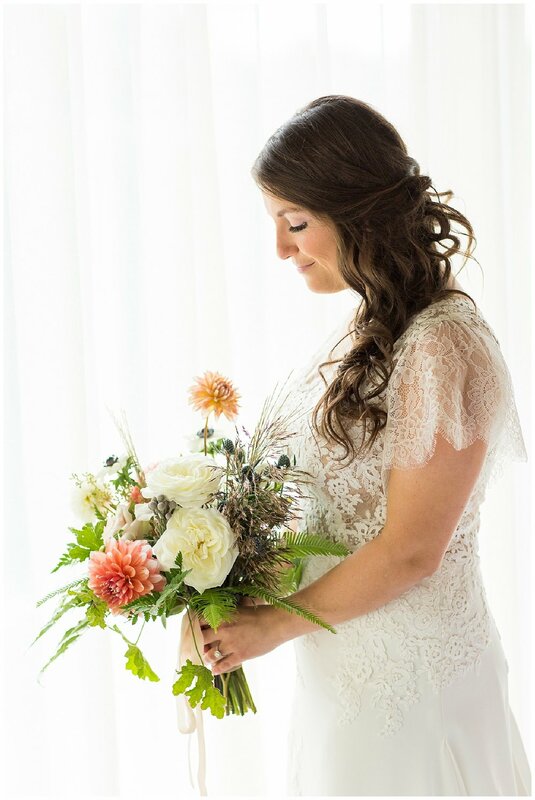 Sarah Tew was there to capture every last detail: from Risa's gorgeous Pronovias gown and stunning bouquet, to Jared's dapper tux and the earthy decor, every detail was carefully chosen. Fall brides + grooms: if you're looking for classic, rustic inspiration, this wedding is for you! 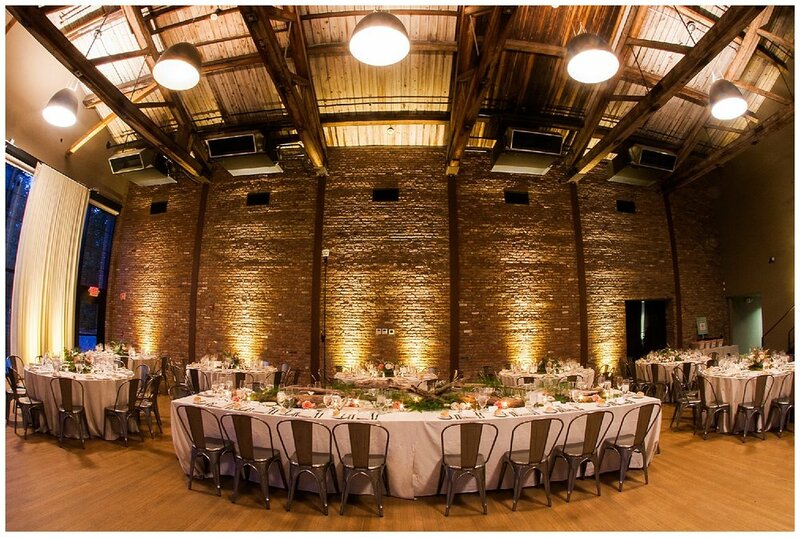 From Sarah: Risa & Jared were married on a warm weekend in October at The Roundhouse in Beacon, NY. Though we were tentatively expecting rain at some point in the day, not a drop fell and all was well! I started the day in the bride’s suite (The Roundhouse is also a hotel with a great restaurant) while my assistant got some shots of the guys downstairs in the charming bar and lounge area. Risa and her bridesmaids had matching sweatshirts and everyone was blown away by Risa’s beautiful gown- she looked so radiant holding her fresh bouquet of flowers! Risa was a little worried about stepping off into the grass during portraits so we set up a first look with Jared on the patio by the waterfall, which worked out beautifully! He was unfortunately not feeling well on the day of the wedding and despite being a bit sick he looked so happy to see her and toughed it out through all the portraits and groups they had planned for me to get with the bridal party and families. We ended up shooting the family groups indoors as it was a bit muggy outside and everyone was more comfortable there, but of course the Roundhouse has huge gorgeous windows, so it was practically like being outside anyway what with all the greenery in the background. The ceremony was performed beautifully by Risa’s brother, an actor, who delighted the crowd with jokes and stories and kept the ceremony simple and to the point. Guests were then treated to a cocktail hour on the patio outside the Roundhouse as the sun set and then led into the brick building where the reception would unfold, amidst lovely modern rustic florals.